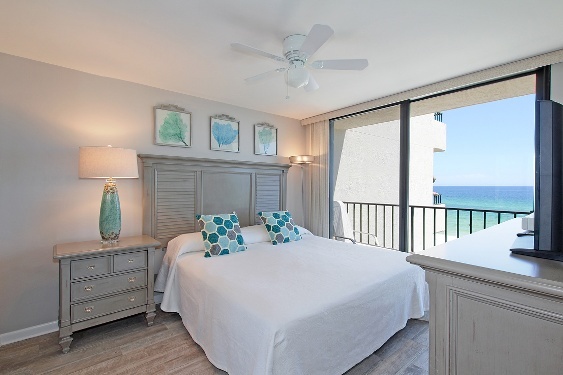 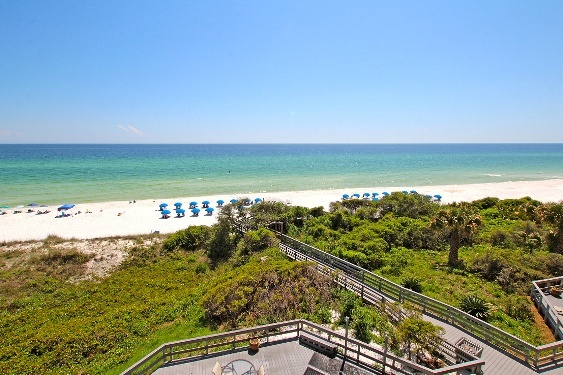 Unit 403 is a totally renovated unit on the 4th floor with great views of the beach and features a King bed in Master and walk-in shower in master bath, a Queen bed in guest and a tile surround tub and shower, sleeper sofa in living room. 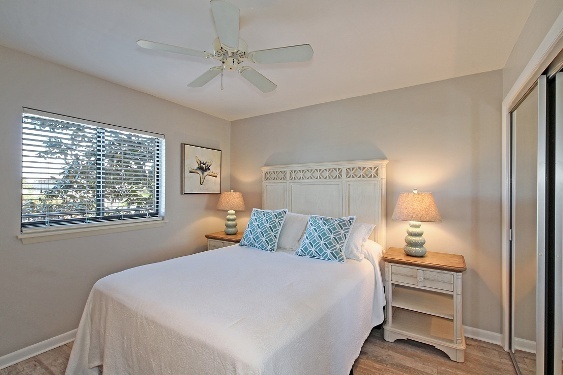 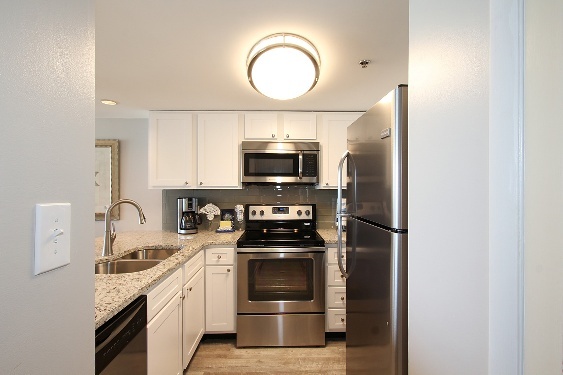 SLEEPS 6 Fully remodeled kitchen, solid surface counter tops, Stainless appliances, and all the comforts of home. 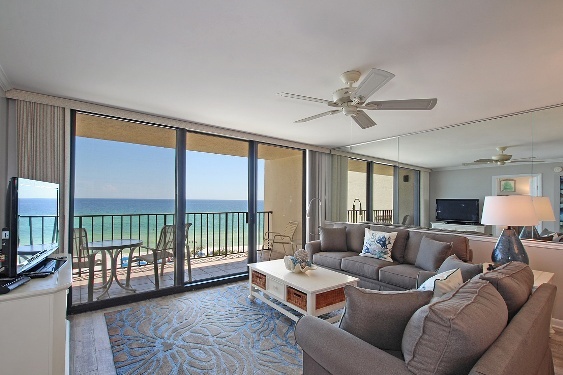 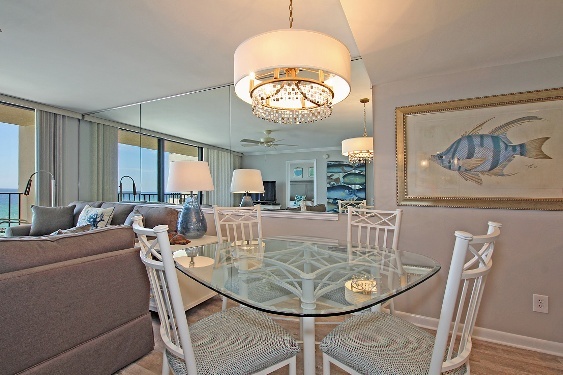 Unit 403 offers Complimentary WIFI & Beach Chair set-up (seasonal).